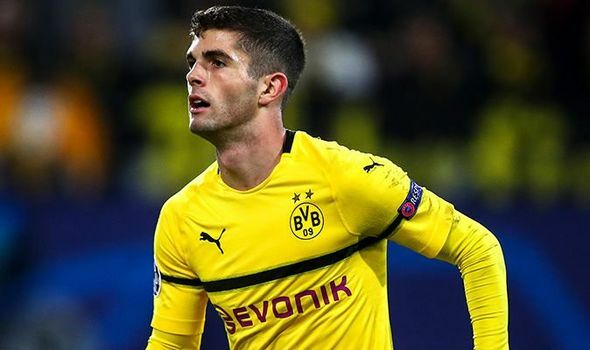 Chelsea signing Christian Pulisic made the personal decision to stay with Borussia Dortmund for the remainder of the season, it has been revealed. ESPN says the decision to join Chelsea later in the year was solely the player's. The reason is said to be Pulisic wanted to give himself the best chance of impressing manager Sarri during a full pre-season. Rather than trying to integrate himself halfway through a regular season, Pulisic felt more comfortable waiting for summer. New arrivals in the winter have traditionally struggled to make a big impact, especially at Chelsea. Emerson Palmieri, Olivier Giroud and Ross Barkley have hardly set the world alight at Stamford Bridge since their January switches in 2018.